In fact, to varying degrees, trance states are something we all go into everyday. So, you’re nodding your head to some of these, right? Of course, we all do it. Hypnosis is just a more guided version of this, ultimately, you are still in control. A: Yes, it’s a totally natural state. Q: Can I get stuck in hypnosis? A: No, no more than you could get stuck asleep. A: Yes, but it depends on the situation. Maybe you wouldn’t want to be hypnotised by a stage hypnotist and ‘made to look a fool’ so you wouldn’t follow the instructions. If you needed an operation and there was no anaesthetic but a hypnotist on hand, you would want to be hypnotised so you wouldn’t resist it. You are ultimately in control. A: Sometimes you hear everything other times you may drift deeply away, or maybe you drift in and out, aware of some bits and in a daze for other bits… The suggestions go in either way. If you lose awareness of feelings, sight, sounds, tastes and smells that’s not hypnosis, that’s death! Hypnosis or self-hypnosis is similar to meditation and indeed the trance-like states that we all go into when our minds drift off. When people stare out of a window and don’t hear someone call them, that’s trance. Staring into a fire you suddenly realise you had become unaware of all else, you had been in trance. These kind of trance-like experiences are natural. The difference between Meditation & Hypnosis? A question I get asked all the time, most people associate meditation with sitting cross-legged, chanting ‘Om’, incense, candles, statues of Buda and things of that nature. Hypnosis on the other hand is commonly associated with cartoon images of men with goatee beards and cloaks with swirling patterns or hypno-darts coming from their eyes. The other perception is of course the stage performers and people walking like a chicken. Stage hypnosis is entertainment, although some people do drop into a deep somnambulistic trance instantly, the peer pressure of being on stage and social conformity do help to create some of the entertainment you see. The descriptions above may very well be true for some and inline with their beliefs but the truth is that for most people the experiences of meditation and self hypnosis are very different. Both meditation and hypnosis take us from our daily lives to somewhere different, a place to grow and improve our lives. Hypnosis is normally associated with remedial change work like removing fears and phobias, or generative change work like goal setting and the enhancing of abilities. While meditations are normally associated with relaxation and creating spiritual connections. I have, however, experienced hypnosis techniques that explore ‘Big Mind’ (the space beyond…) and meditations that are about releasing anxieties and fears. So there really are no set boundaries and if there were, we would want to explore what was on the other side of the boundary anyway, wouldn’t we? There were in the past entertainers who used a dog to put people into trance! Where the dog was meant to be capable of hypnotising people who stared into their eyes. Now these dogs were no more hypnotising the person than the flickering flame of an open fire is entrancing a person. It is the person who stares into the dog’s eyes or flames that is going into trance by their own volition. Franz Anton Mezmer a Physician in the late 1700’s coined the term ‘animal magnetisms’ he is also where the word ‘mesmerism’ and ‘mesmerize’ come from. Mezmer used trance states to heal people. It was James Braid, a Scottish surgeon almost 100 years later who developed ‘mesmerism’ and called it ‘Hypnosis’. The first time the word was used. In the last century another doctor Milton H. Erickson MD pioneered a conversational or indirect style of hypnosis called ‘Ericksonian Hypnosis’. This was a big distinction from direct hypnosis. Direct ‘authoritarian’ hypnosis is the kind of hypnosis a stage performer’s might use. This is a very directed form of hypnosis with the ‘power’ of being very much attributed to the stage hypnotist. Stage Hypnosis is Entertainment and relies on a number of factors such as social compliance, trickery and a host of other shenanigans. It also offers a platform for extroverts to shine. The fanciful swinging of a watch that is seen in the films is about ‘fixation’ of the attention. A stage hypnotist or practitioner performing overt direct hypnosis will have a person fixate their attention on an object and then continue to direct the person with suggestions to close their eyes, relax their body, walk down a set of stairs etc. Indirect hypnotism relies of the fact that information ‘goes in’ in order for you to understand something you must have first read, heard, seen or experienced it. Then the conscious minds makes decisions about what you just heard or saw. Has Anyone Ever Told You Something and You Believed Them? Well of course they have and of course you did. They offered a suggestion and you accepted that suggestion. A hypnotist will offer a suggestion that smoking is bad, the suggestion is accepted and the person stops smoking. There is no difference between somebody telling you that a film is good and you believing that suggestion, and a hypnotist suggesting to you that feeling confident is good and you accepting that suggestion and acting upon on it. A competent hypnotist will know how to pitch the suggestion just right so that it is accepted… and so, for that matter, will a salesman! A close friend of yours can tell you something he or she has learnt and believes. With it they bypass any resistance from your conscious mind, resulting in your unconscious mind accepting the suggestion. …whether we realise it or not. Even when we do not verbally respond we are still communicating volumes. So What Do I Think ‘Hypnosis’ Is? Hypnosis is an amazing way to bypass the critical thinking part of the brain and introduce new concepts. …to go deep into your subconscious to bring out hidden talents, new ideas, and increased abilities you never had access to before. Hypnosis is a way to gain more control over your emotions. Gain more control over your thoughts and behaviours. It’s a way to bypass your limiting beliefs and short cut to becoming a better you. Ready To Try Hypnosis For Yourself? 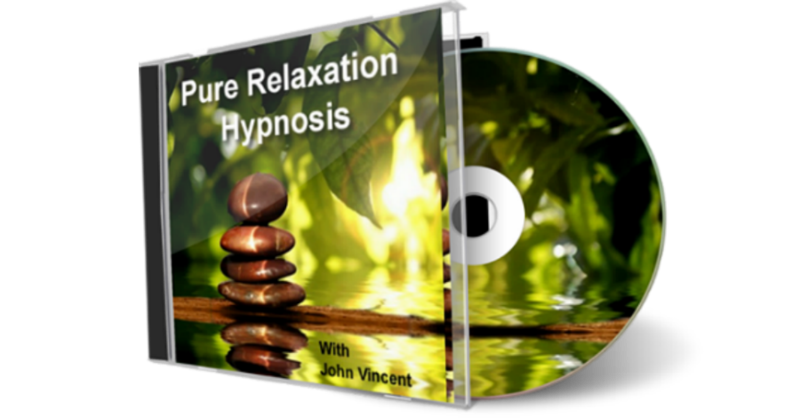 In this remarkable 27 minute relaxation hypnosis session… Let the stresses of everyday life melt away. Our products are all aimed to help you achieve this by making powerful, positive changes in your life through written guides, audios and videos, using cutting edge technologies for effortless development. To boost your Health, Wealth and Happiness. Hypnosis Land is a part of HJH Publishing... publishers of More Vegan Life and The Spirit of Being.